This activity is developmentally appropriate for the Pre-K Level and up. 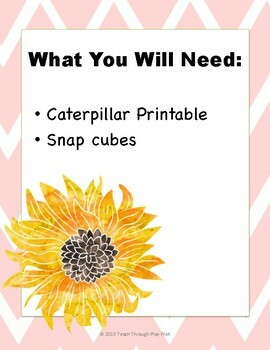 This is a free printable perfect for a spring or bug and insect theme! 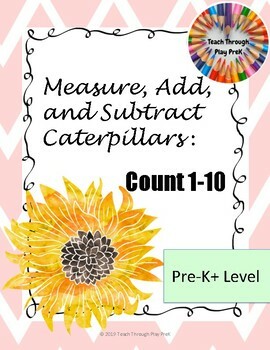 During this math activity the children will be measuring the caterpillars with snap cubes or other counting objects. 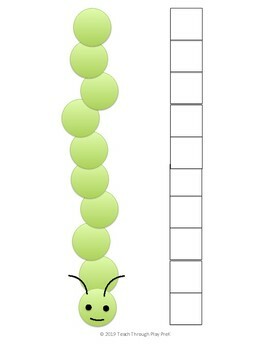 They can add and subtract the cubes to see which caterpillar is smaller and which is larger. 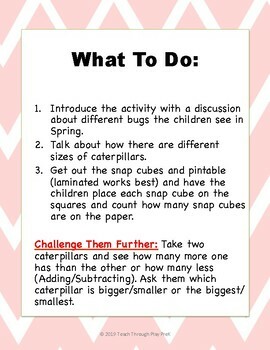 This is a good activity for practicing counting 1-10 as well as starting to learn to add and subtract!